There are times in this business when you come across a client inquiry, and once you get talking you just cross your fingers and wish with all of your might that they’ll book with you. This beautiful couples style, taste, and down to earth attitude made me so so happy to have the opportunity to photograph them. I loved meeting Miss Ada, she was the sweetest little nugget and the sweet adoration from her parents was just too much to handle. Here are just a few favorites from our time together! 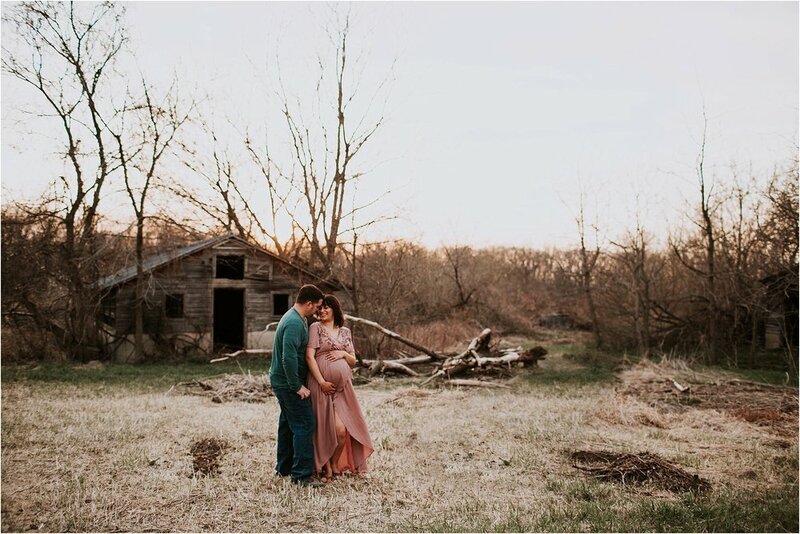 I loved getting to know these two and the best part about getting to explore a new location for an hour with a wonderful, expecting couple is to hear where they came from, how they met, and how excited they are to welcome their first child into the world. You also discover the similarities in their story and yours like how these two have been together for 10+ years and how they fell in love all over again in the last 9 months over the new life they've created. I am so excited to meet baby boy or girl coming very soon! Thanks so much to these three for sharing their night with me! 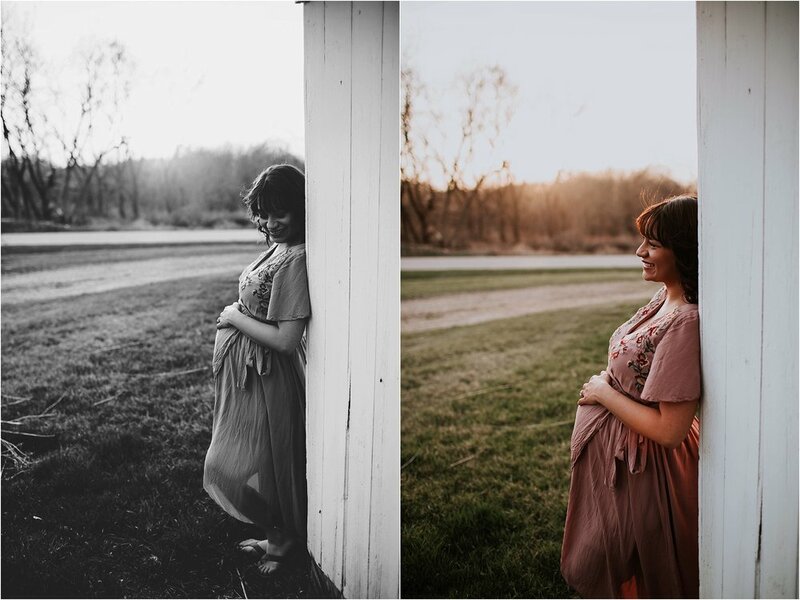 This adorable couple had me so excited for them by the end of our session I cannot wait to meet their new additon! I always love meeting new clients which I have no previous connection to because usually at the end of our year together I feel like they are now part of the family! So fun swapping stories about what to expect, nursery plans, and even bigger plans with baby. Thanks so much to these two!! THAT HAIR. Oh this little man and his lucious locks really stole my heart! And his nursery had my inner decor enthusiast leaping! I loved everything about this session - Brenner, Mom, Dad. He is clearly the perfect addition to this family. I've known Kyle since high school and to watch him experience the same amazing anticipation of their first daughter just a year after we welcomed our own daughter into the world is pretty amazing. 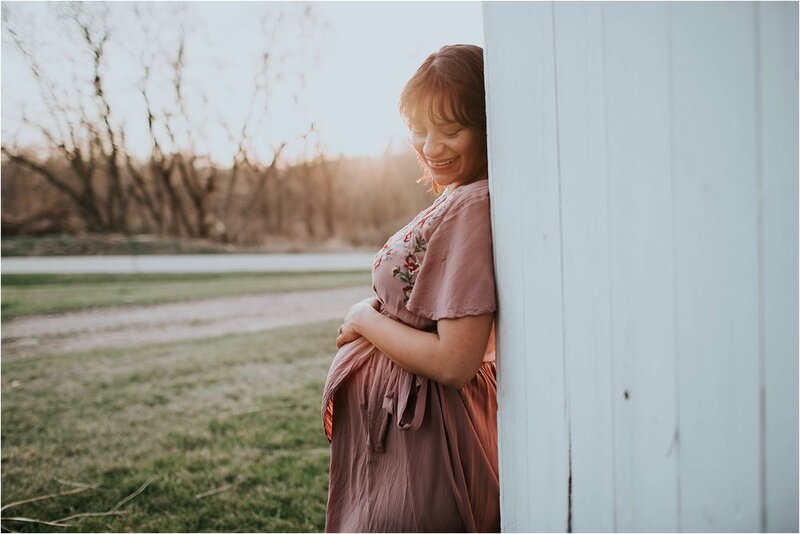 Katelyn was debating maternity pictures not unlike most expectant mother's do so I reached out to her as the one regret I hear often is how mother's wish they would have had pictures of this time in their lives. I'm so glad we were able to make this work and to think these may be the last photographs of just the two of them makes them even more special. Thanks so much Kyle & Katelyn!